The court wondered why, if Warner's conduct was so bad (multiple transgressions to hide the offshore monies), the Government agreed only to a single count of conviction. The Government attorney point out quite rightly that a single count of conviction was the deal then being offered by the Government for the cases that met its prosecution parameters. That was an exercise of prosecutorial discretion in designing the program. I think the panel's concern was that, in terms of the Government's position in Warner, it might have been a bad one. The Government also pointed out that the other bad conduct was still appropriate to consider both under Section 3553(a) and the relevant conduct inclusions under the Guidelines. It is not like with a single count of conviction, the other long-term conduct was ignored. Still, I am not sure the panel was persuaded. One claim the Government made was that it could never figure out how the money got offshore -- was it tax paid or nontax paid money? I wonder why the Government attorneys did not ask Warner during the negotiation or run-up to sentencing and, presumably, with the cooperation required for a guilty plea, he would have had to disclose. I would have thought that the Government would have required full and complete cooperation for agreeing to the single count. So, this is a bit a mystery to me (unless the Government attorneys were just out-lawyered). The fact that a number of other taxpayers were getting probation for similar conduct -- although not of the same scope -- troubled the judges in considering whether the sentence was too lenient. Of course, sentencing in financial crimes cases is all about the scope of the conduct -- particularly as measure by financial harm (tax loss in the tax crimes case). Warner had the largest tax loss and, to the extent that that factor (the principal factor under the Guidelines) indicates a sentence, some incarceration would be required. The panel was also concerned that, if Warner's conduct were so bad, why did the Government argue at sentencing for only a sentence of 1 year and 1 day when the Guidelines range was significantly higher. In other words, the Government may have created the problem of conveying Warner as a good guy by the sentencing range it proposed when at least some others were getting higher sentences. Warner's attorney exploited well this concern. In addition, Warner's attorney argued that, with a substantial downward variance argued by the Government itself to one year and one day, the sentencing judge was really presented with a binary choice of probation or one year and one day and the difference between the two (one year and one day) was not material enough for the conclusion that the judge abused his discretion. Very nice. (The Government's recommendation of 1 year and 1 day is a mystery to me; I would have thought that the seriousness of the crime would have fully justified at least a bottom of the range position, with the sentencing court then being given the flexibility to move somewhere in between; by giving up the major ground voluntarily, the signal was planted that, despite the numbers, Warner was a pretty good guy. The panel seemed to be impressed by the amount of the fine paid and the amount of taxes that Warner had paid over the years (suggesting an overwhelming pattern of compliance with this one aberration). And the court noted that the FBAR penalty was major -- the highest ever, so he is being punished for his crimes and a signal is sent to deter others. I did not capture all the nuance of argument, but those are just some points that stuck with me. Booker Variances are More Common in Tax Crimes. Why? And Do They Disproportionately Benefit the Rich? 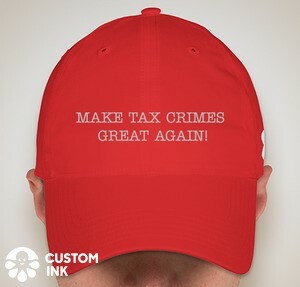 (Federal Tax Crimes Blog 5/16/14), here. More on the Warner Sentencing Appeal (Federal Tax Crimes Blog 9/15/14), here. I know that once people settle with the IRS they just want to get on with their lives and probably cease visiting this blog. However I wondered if there was anyone out there that chose to opt out, and had the IRS deem them willful.? In such a case what happened? Did the IRS follow IRM , did they get multiple years and max penalties assessed ? Was it settled by the examiner, or did it go all the way to a higher body like appeals. I have been told that that if one voluntarily comes into compliance the IRS has not been imposing the max of anything. Is this true.? Also as a requirement of the OVDP you must sign the extensions to SOL. However if you opt out are these extensions null and void? I would think that you might have an argument that they are null and void, because you only signed them as a condition of OVDP. Has anyone tried making the argument that they are null and void? 1. I have one case where the IRS asserted willful penalty for multiple years (amounting to about 100% of the account). The case is in appeals. This taxpayer was in compliance since joining the original OVDP, so that did not prevent the assertion of the penalty. 2. The extensions are valid in opt out. Indeed, from a practical perspective, opt out is the only time that the extensions make any difference. In OVDI/P without the opt out, the statutes of limitations are irrelevant because there is an agreement from the taxpayer and the IRS that the amounts will be paid. I am not sure exactly how the IRS can ignore the statutory command that untimely assessments are illegal, but it does in the program. So, once opt out occurs, it is clear that the IRS cannot make untimely assessments and refunds for closed years have to be paid (provided the refund statute of limitations is open). Keep in mind the case of Mr. Zwerner - although well counseled - the DOJ Tax had to settle in the end for 2X FBAR willful penalty not the 4 they were waving at him from the beginning. Do not be afraid of litigation. Jack why do you bother with appeals if your UBS client is so credible ? 3. Direct Appeals are not Put on the Trial Docket - Tax Court cases are docketed with the United States Tax Court (i.e. put on the Judges calendar) which puts downward pressure on IRS Appeals officers and district counsel to resolve the case. "..I have one case where the IRS asserted willful penalty for multiple years (amounting to about 100% of the account)...." This would mean 2 x 50% of the 6/30 balance. You are comparing an appeal and a Tax Court case. The FBAR penalty cannot be tried in the tax court. I usually pursue internal appeals opportunities because generally I get results that will avoid the necessity of litigation either in the Tax Court or in the refund forums. Foregoing the internal appeals opportunity may foreclose any possibility of recovering attorneys fees. You are correct that the protest will require extensive disclosure, but extensive disclosure will be required at some point. It is not typical that material new matter is learned at trial of a case, so laying the hand out at appeals will not be damaging. There are some practitioners, like you, who generally forego appeals. I am just not one of them. Having said all of that, I am not sanguine that appeals will do anything in this case. I think the appeals officer is not acting independently in this case and the decision will be made outside the appeals office. No, it was 2 6/30 amounts plus another amount for a year where the account had been closed by 6/30 of the following year. So, it was 3 willful penalties, but the third year was very low because of the account closing. Go read Blackseals posts for an exampe of an incompetent examiner. The 'examiner' is just one person who, as a result of the OVDP has been given powers like a Pharoah. To simply 'accept it if you have been found willful by your examiner!' makes one a slave. You sound like you are with the IRS too. very interesting that they are pushing for 3..... my hunch is this higher number in relationship to total amount will be used as a bargaining chip for coming down later to 1. I assume you are looking for less. I think you need to prepare for the local district court via a refund suit and press for an early trial. There are some issues that you could have a shot at in influencing the law before too many results come down in bad cases. Why is it so hard for IRS to tie Tax deficiency with the penalty % ? if Tax deficiency is around $5K over a period of 8 years, is it justified for IRS to go after the tax payer's net worth which can be more than $200K (condo rentals) ? What is the justice in that? Carter, I think you mistakenly assume that the US government(or maybe I should say any government) is truly interested in justice. "The law is something we have to live with. Justice is another matter entirely." I forget who said this and it may be misquoted but the basic meaning is accurate. Jack, do I understand this correctly if in 2013 I closed my offshore account on 3/1/2013 with a balance of $300K , the possible willful FBAR penalty for the violation on or after 6/30/2013 would be 50% of $300K or $150K. I am showing readers that it depends when you have closed your offshore account with regard to the 6/30 balance for calculating the max. willful FBAR penalty. Yes, the 50% willful penalty is based on the amount in the account on 6/30. However, under the IRS's mitigation guidelines, the some levels have an alternative penalty, if greater than the 6/30 penalty) of 10% of the high amount in the year. I have not -- and need to -- look into the issue of whether that alternative is legal if the statute does not contain it. Unfortunately here is an example of fear mongering and hyperbolic language aka. FBAR ambulance chaser and on top of it a few factual errors mixed into the offshore tax cocktail. Not recommended. Jack you say some IRM mitigation may apply if 10% of the high amount for the report year is less than $100,000. You say "may" which means that the examiner does not have to and could hypothetically go for 3 X $100K or $300K (taking your example) of willful FBAR penalty. But in your case he did 2X$100K and for the 3rd. year he used some smaller mitigation amount. In my case, the IRS did two years of 50% penalty and one year of the 10% mitigation (the latter because the account had been closed by the key 6/30 date). That application is not random, but is in the mitigation guidelines that I referenced. The IRS will not assess multiple FBAR penalties for the last year. Assuming there is one account, it will assess one FBAR penalty -- either the 50% penalty or the $100,000 penalty, whichever is greater, but the $100,000 penalty can, as I understand it, be mitigated lower than $100,000 based on 10% of the account high balance in the year. 5. The Service did not sustain a civil fraud penalty against the person for an underpayment for the year in question due to the failure to report income related to any amount in a foreign account. 7. no history of past FBAR penalty assessments. (b) 50% of the closing balance in the account as of the last day for filing the FBAR . So, say for years 01 and 02, both of which had balance on the applicable next year dates (6/30 of 02 and 03), the 50% penalty applies. Then for year 03, since the account was closed prior to 6/30 of 03, the 10% penalty applied. So it actually gets above 200%. The important fact for readers to take away here is that the hyperbolic threat of max. willful penalties can and has to be mitigated in the fast majority of the cases (see the 7 criteria for mitigating lower). Jack - in reference to your one case where IRS asserted willful penalties for multiple years. Is this after choosing to opt-out of OVDP? How could the taxpayer have not gotten signs from the agent that they were being treated on the willful side of the spectrum? I assume if the case is in the very gray area, that it would be somewhat clear that opting out is risky. I assume people that know they are willful do not opt out. 1. The agent is way off base. Having said that, the agent cannot act alone. Her supervisor and other levels of review in the IRS approved the assertion of the willful penalty. But, I think mischaracterizations by the agent significantly influenced the process. 2. From my perspective, the situation is clearly nonwillful and think that I know judges and juries well enough that the client will prevail. However, having said that, as I often say somewhat hyperbolically, I have never seen a case I could not win or lose. 3. You are correct that people who know they are willful or just have bad facts that could be construed as willful do not opt out. Jack - Can you help me understand if there is a difference between going SDOP, getting audited and kicked out versus OVDP and opting out? In both cases, everything is back on the table and there are no guarantees but the onus is on the IRS to prove willfulness. I guess one difference is you signed a certification of non-willfulness but that is what the IRS is trying to disprove anyways. So it seems to me that both scenarios lead to the same place - there's really no point in going OVDP with a plan to opt out. On your last point, that is correct. I understand that the purpose of SDOP and SFOP was to offer an alternative to joining OVDP and opting out. In most cases where the opt out would occur, at least for the minnow and near minnow who had filed a return, the statute of limitations on opt out would be 3 years and the FBAR penalty would be de minimis. That is basically the result in SDOP and SFOP (except SDOP has a 5% penalty that may be a bit excessive for truly nonwillful). So, these new streamlined programs appear to be a proxy for OVDP and opting out. Of course, one alternative that should be considered is where the person is both a good opt out or good nonwillful for SDOP and SFOP is just do a QD or even a GF, because an audit in any event would / should not produce a worse result than SDOP or SFOP, at least in theory. Keep in mind that QD or GF offers no assurance of avoiding criminal prosecution, but those who meet my criteria for QD or GF have no realistic possibility of criminal prosecution. The same is true of those who use SDOP or SFOP, but if they really are nonwillful, there is no reasonable risk of criminal prosecution. Readers should consider these QD and GF alternatives rather than the established procedures only with proper advice tailored to all of the relevant facts of their unique situations. Jack you contemplated already 6 month ago to do a FBAR refund suit in a local district court for your UBS client. What happened the last 6 month or I should say what did not happen ? Why is this taking so long. What are they waiting for ? Are you in a pre-litigation appeals queue ....is this on a first come first serve basis ? My impression of QD is that the IRS does not like this and if they find you, they will give you a hard time and the result will be worse than SDOP. Maybe my assumption is incorrect and I should assume any time you get audited by the IRS - SDOP or QD - it will be a bitter fight. They also have 6 (?) years under SOL to find you - but I guess in SDOP you're voluntarily raising your hand, so assured that someone will look at your package whether it gets flagged or not. GF is go forward and do no wrong. Essentially, the past is the past and not correct the past. Make sure to take every action required in the future and do it openly and fairly. Then, the only risk is an audit risk with respect to years that are open under the civil statutes of limitations (generally 3 years for income tax and 6 years for FBAR). Then, if you are audited and you have a good story to tell (nonwillfulness for both income tax and FBAR), the results should not be materially worse, at least in the better cases, than in OVDP and opt out or in SFOP or SDOP. And, the IRS may never audit, in which case the results are better. Or if the IRS does audit, only the income tax open years will be adjusted and, conceivably, the FBAR penalty can be less than 5$ required under SDOP. ES, you ask a good question. I don't know why it is taking so long. But, I do know that the statute of limitations on some possible liability will expire soon and we will not extend again. I think I have read now from a few readers here that suddenly the IRS takes a break from due process of 6 month or so. All of this seems very chaotic or I should say like playing a game of poker. They examiner and her group manager agreed on 3 willful penalties 6 month ago in an opt out after a tax and FBAR audit. Did the examiner not send you a deficiency notice after the audit was concluded ? Jack thank you for your response but it is hard to simplify when you have so many moving parts. You say that only year 3 was mitigated down (Level III) but I think it were all 3 years not just 1. It had to since they did not charge your client with civil fraud during the audit. For all 3 years the greater of 10% of max. or 50% of 6/30 balance. 1. Mitigation is already an indication that your case by the IRS own standard is not egregious. With regards to your appeal .....Jack correct me if I am wrong but is it not in the National Office, Appeals which develops the settlement guidelines (to ensure resolution on a consistent basis nationwide) in “coordination” with the Examination function. IRS Counsel works with both functions to develop Coordinated Issue Papers (CIP). These CIPs are developed after hundreds of hours of meetings and attorney work to craft settlement guidelines “including addressing the hazards of litigation.” Appeals Settlement Guidelines (ASGs) are guidelines written by Appeals and reviewed by the Office of Chief Counsel to assist Appeals “in coordinating issues of broad impact or importance for cases coming from the offshore initiative. I think you are not so far off with your assumption that we are seeing an erosion of basic procedural due process. them will be offset by the proceeds of the penalty. In my case, I'm concerned about GF because I learned about FBAR this year and had an accountant prepare my FBAR for 2013. Wouldn't the IRS assume that I have been informed by my accountant that I need to bring past years into compliance as well. So if I choose GF, couldn't this potentially be used against me in determining willfulness? Have you ever had a case of a GF that was audited - if so, what happened? 1. I am not convinced. They did assert 2 50% penalties, which, at least for those years, is as egregious as it comes. The 10% penalty is a mitigation given that it is less that the statutory alternative maximum of $100,000. But that is faint mitigation at best. 2. Another commentor noted that the FBAR penalty is an Appeals Coordinated Issue, so that the decision being made outside the local Appeals Office may be just in another Appeals Office. I am skeptical and am very dubious of an impartial review and decision making by unnamed and secret process in which there is no ability to interact. If this goes to litigation, between FOIA and discovery, we will learn ex post facto about the process, but at least in litigation we will face the decision makers and more importantly the decision makers will face us. This is a credibility case in the final analysis. 3. The Form 872s given before opting out are not null and void. The process required FBAR statute consents for all years. The IRS takes the position that, unlike Form 872s where the statute has to be open when the Form 872 is signed by both parties, the FBAR consents are like general waivers of statutes of limitations and are open for all years stated in the consent, whether or not the year was open when the consent was signed. Jack the answer lies in the details... for Level III accounts there would be no difference if and when max. value and 6/30 balance are identical which is btw. typical for an account not used by expats. Example : If you have for both dates a $500K balance than option 1) max. willful would be 50% or $250k but option 2) mitigation Level III would be the greater of 10% of $500K or 50% on 6/30 which again would be $250K. Do you follow me so far ? Which means since the examiner seems not to have written on his determination specifically what it was that both options would be possible here but again since your client fulfills all 7 criterias for mitigating lower I would like to know how she could avoid recognizing this important fact. If she did and avoided that determination I think it is important to find that out . USTax and Jack/others: This is copied fromUSTax response "Intent is distinguished from inadvertence, reliance on incorrect technical advice, honest difference of opinion, negligence or carelessness." QUESTION ON SPECIFIC FACT as follows: Taxpayer does not pay US tax on rental income for 6 years (income about $15K yearly)but does pay tax in country where property is located at 24% of gross income. He does not seek tax advise based on concern that it will be very expensive consultation under belief it may require a sophisticated international tax attorney. Instead he consults tax treaty and thinks that based on the reading tax has to be paid in country where rental is. Title of tax treaty in the other country's language states:"bilateral agreement with the purpose to prevent double taxation" He has never heard of foreign tax credits till entering the OVDPand understands now that tax had to be paid in both countries with tax credit given int he US. Seeking transitional relief under SDOP, would this fact be regarded as "carelessness" and therefore not as/distinguished from "intent" based on the above quote by USTax? IF it were found to be "carelessness" then the findings would be non-willfull? The agent only gets to Level III based on a determination that the mitigation requirements apply, otherwise the penalty in the final year would be $100,000 per the statute. Help me understand what you are saying. The issue is FBAR. If that is your fact pattern, unless there is some facts that would indicate willfulness on the FBAR, I think that the nonwillfulness certification will fly through for FBAR. So, on the facts presented, go for SDOP. Again, you might consult with a practitioner who can probe to make sure that these are all the relevant facts. 1. mitigation guidelines authorize the imposition of a penalty lower than the statutory maximum. 2. 4.26.16.4.5.6 FBAR Wilfulness Penalty Amount - Mitigation Inapplicable (>$100K always 50% of 6-30 balance) but only if your UBS client does not meet the threshold conditions for mitigation (see IRM 4.26.16.4.6.1). - I assumed that your client passed the 7 criteria threshold set out by the IRMs. - I assumed your examiner did not grant in writing mitigation (left it to interpretation) for year 1 and 2. If she did and avoided that determination I think it is important to correct this and show that all the years were mitigated and not the egregious max. wilful statutory penalties asserted except for year 3 . My point in general I was trying to make is that for expats vs. homelanders the max. and 6/30 balance are two very different numbers and mitigation for all the years a very important factor. The question now is how much discretion can your examiner use or avoid to use, hence me mentioning to you the argument of bias and mischaracterisation . I had conversations about this topic last year with Caroline and Larry if an examiner can treat a client as inapplicable for mitigation when he clearly is and I had the impression that they agreed with my pov. that even if mitigation is at the discretion of the examiner but if your client fulfils 100% of the named criteria it should be mentioned in the assessment that your client has received mitigated and not max. wilful penalties for all the years involved regardless if it makes a difference in $ terms or not. Now the procedure should have been that your examiner did submit the FBAR case file to a SB/SE Counsel Area FBAR Coordinator (Counsel). This Counsel should have rendered his advice to her within 45 days and prepared a written memorandum of review of the FBAR case (unfortunately this is a sealed document so forget submitting a Freedom of Information Act (FOIA) request). This Counsel next to the Appeals FBAR Coordinator will also assist the National Office of Appeals which receives the FBAR administrative file which should contain in your case : 1. summary memorandum expl. the FBAR violations 2. Form 13535 related statue memorandum signed by the designated Program Manager 3. FBAR issue work papers 4. Letter 3709 for pre-assessment 5. Your protest 6. IRS Counsel Opinion memo for FBAR penalties > $10K. Your case is classified as ``Appeals pre-assessment`` and an Appeals Coordinated Issues (ACI) case, which means they cannot be resolved by any field manager who may try to do so without first “coordinating” with the National Office. Since you mentioned that SOL extensions are coming up ..... if no statue extension is secured the FBAR penalty can be assessed and you will be given post-assessment appeals rights with one little caveat which is FBAR penalties > $100K cannot be compromised by Appeals without approval of DOJ (see 31 USC §3711 (a)(2) and 31CFR §902.1(a),(b). That would be $550K in total using Level III for all 3 years involved but I am not sure why you show $525K ? Thanks for correcting the number. It should be $50,000 and I have made that correction. Jack, I believe most banks WILL be FATCA compliant, but in a way that reduces compliance burden and risk. In other words, FATCA requires reporting on US persons. If there are no US persons with accounts there is nothing to report. Or, if only US persons who are local residents are allowed to open accounts, but just non-interest bearing accounts and no stocks, bonds, funds or interest, the only thing that needs to be reported is account balances, deposits and withdrawals for that small number of accounts. My experiences are as a US person NOT resident in Europe. I have decided not to mention the two banks and countries because I am afraid that if they have too many US accounts they will become fearful of any possible penalties if they make mistakes in reporting, and may close all accounts. On a related note, an article in the Washington Times 9/23/2014 about Mike lee, Utah senator's fight against FATCA. I think is way out of line of the IRS. What is the point of offering a voluntary disclosure program if the fine is going to be the same as if you got caught. If someone like Carl Zwerner can only get 2 years, then for someone how came into compliance on their own free will should only get one year at most. If willful people that come forward get treated the same as people still hiding, why would they even bother coming in. They will just take their chances. I know I would. Jack, any updates on your clients who withdrew from OVDP to enter SFOP (submitted disclosure letter, but hadn't yet filed 1040s). Did they ever get a notice that they in fact were being audited? I haven't read any procedures for withdrawing from OVDP nd going to streamline in cases in which you do not qualify for transition. For those applying to transition from OVDP to streamlined, that if your request is denied it's an indicator that you should probably not opt out. What about someone whose transition request is approved, could someone like that consider opting out? I am thinking of account size in which the optout nonwillful penalty could be significantly lower than 5%. Would this be allowed? Would it anger the IRS? Would the criteria for nonwillfulness be different under transition than under optout? My guess is that they shouldn't be, but would they differ in practice? Or would the IRS in such a situation be expected to do a much more thorough going over facts with a fine tooth comb? I know of one situation where taxpayer had filed disclosure letter but had not yet heard back from IRS on acceptance, etc.. When Streamlined came out, TP sent a letter asking to withdraw into Streamlined (prior to July 1). IRS didn't respond to the letter but also didn't ever send any correspondence indicating acceptance into the program. TP is assuming ability to go directly to streamlined although somewhat worried. Any thoughts, Jack or others? As I recall, the taxpayer was stuck with OVDP only if he had sent the detailed OVDL letter. Otherwise, at least I recall, the taxpayer could go to Streamlined. this TP is somewhere in the middle, as TP had sent in the Rule 24 letter but hadn't heard anything from IRS. IRS had actually asked for some additional information, at which point the new Streamlined came in. TP provided additional information and sent in letter asking to withdraw into SFOP (all prior to July 1). IRS never responded at all, either accepting TP into OVDP (generally supposed to happen within 45 days) or responding to the withdrawal letter, so TP is in limbo. TP's situation is benign (TP feels that was mistake to enter into OVDP but did so on basis of FBAR ambulance chaser advice that quiet disclosure would be aggressively pursued.) TP is inclined to simply assume streamlined is permissible, although not really sure. If I were in his shoes (this is not legal advice, I'm not a lawyer) I would go through the streamlined process unless and until I hear otherwise. I would not at all be surprised if at some point the IRS ssays oops we goofed you're in OVDP adn must either opt out or pay 27.5%. I am basing the previous statement on past experience with the IRS. I see a lot of talk about answering "no"... but what if the TP answered "yes"? I.e., is that proof of non-willfulness, as you are telling the government "hey, I have an offshore account in XYZ bank, not hiding anything"? Or it actually makes you more willful as then, likely, you should know about the FBAR...? You ask a good question. Like much of life's events, different constructions can be put on them. A yes answer would be consistent with willfulness and might be consistent with confusion which is not willfulness (unless the yes answer would indicate willful blindness which some court might equate to willfulness). I would argue that the yes without the FBAR establishes (1) the taxpayer was honest in answering the question and (2) the taxpayer neglected to follow through the implications of the answer (maybe did not even read that part). Then I would marshal the facts that support the taxpayer's nonwillfulness. Still, thanks for asking that question. I had not heard it before. It is a not uncommon situation among expats (since they almost always have a foreign account), many of whom answered the question on the tax form without ever researching the underlying rule as to what else was required. In particular, in the years before 2009, most people living abroad (including many tax preparers working with Americans) had never heard of FBARs. I understand. One additional consideration. If the taxpayer checked the foreign account question yes, he probably was income tax compliant with respect to the account even though he may not have read or understood the instructions about the need to file the FBAR. If the taxpayer is U.S. tax compliant, there will be no FBAR penalty even if he or she did not file. The IRS will just not reach the willfulness issue or the nonwillfulness for that matter.